This photograph was published in the Illustrated Chronicle on the 2nd of October 1915. During the Great War the Illustrated Chronicle published photographs of soldiers and sailors from Newcastle and the North East of England, which had been in the news. The photographs were sent in by relatives and give us a glimpse into the past. The physical collection held by Newcastle Libraries comprises bound volumes of the newspaper from 1910 to 1925. We are keen to find out more about the people in the photographs. If you recognise anyone in the images please comment below. 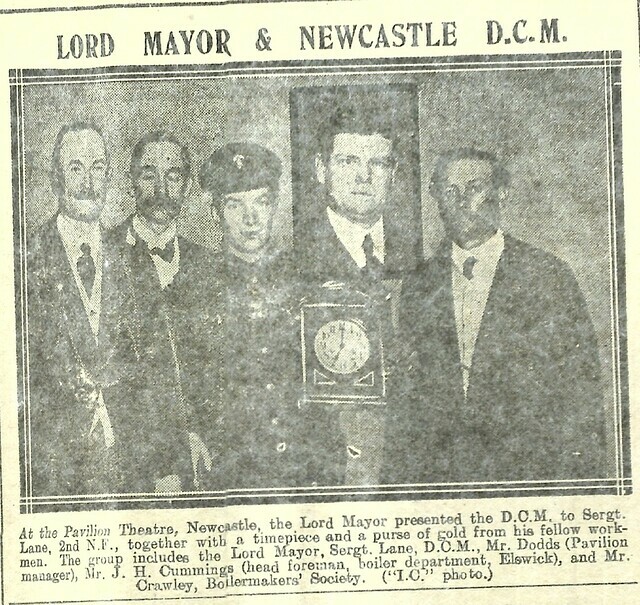 Copies of this photograph may be ordered from us, for more information see: http://www.newcastle.gov.uk/tlt" >www.newcastle.gov.uk/tlt Please make a note of the image reference number above to help speed up your order.